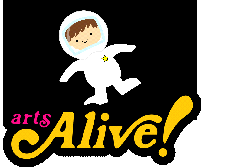 Young children will be dancing and moving when Arts Alive! Inc. takes them on a creative and interactive journey through space using fun props and music. Recommended for ages birth to 6.